Europomice is pleased to point out some important industry events. This year, Grey to Green also highlighted the economic impacts of climate change adaptation such as flooding and the urban heat island. Flooding affects both the individual in terms of health and well being and has significant economic impacts for society. These issues will continue to get worse as climate change progresses, but green infrastructure can help. This conference was the leading forum for designers, policy makers, manufacturers, growers, landscapers, and green infrastructure professionals. The interdisciplinary conference explored the latest science on green infrastructure performance, economic valuation and public policy developments, new technological developments, and best practices in design, installation and maintenance. The conference also included a trade show, cutting-edge training courses, tours of outstanding projects, and networking special events. The III INTERNATIONAL SYMPOSIUM ON GROWING MEDIA, COMPOSTING AND SUBSTRATE ANALYSIS will be held in Milan (Italy) June 24 – 28, 2019 and Europomice will be one of the main Sponsors of this important event. The 2019 International Symposium will be an ideal occasion for discussing and exchanging experiences on growing media and all connected topics: not only a scientific program, but also cultural and touristic events. CitiesAlive®, Annual Green Infrastructure Conferencetook place in Brooklyn, New York September 24-28 and Europomice was one of the main Sponsors of this important event. This year’s conference profiled leading edge living architecture and green infrastructure technology and strategies suited to New York’s unique characteristics and challenges through a trade show exhibition, and a variety of tours, technical sessions, and workshops. 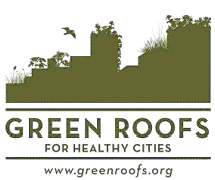 This year’s theme was Green Infrastructure, Designing the Future of Resiliency. CitiesAlive® 2018 explored topics like urban agriculture, vertical forests, coastal greening, green finance, new regulations, performance metrics, research, integrated stormwater capture and reuse and more. CitiesAlive® provided green infrastructure solutions to urban challenges by bringing together design professionals and policy makers. Discover cutting edge design projects, policy developments, new research, and innovative products that are shaping a better, more resilient future. Europomice Citiesalive NYC 2018 Presentation,with a brief introduction of the company Europomice and its products and Volcanic soil media for plant growth in green infrastructures.